I'm not sure why but despite having so many kids in the family, we've NEVER celebrated Children's Day. Yup, pretty strange, I must say. 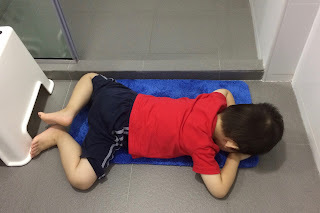 My oldest boy made that observation earlier this year and that was when I realised it. So, I decided to add this day to our repertoire of family traditions from now on. 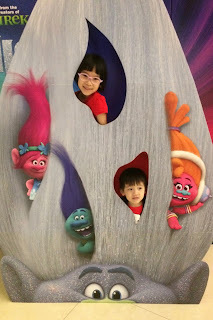 For starters, here's a video clip of the children wishing everybody a "Happy Children's Day!" 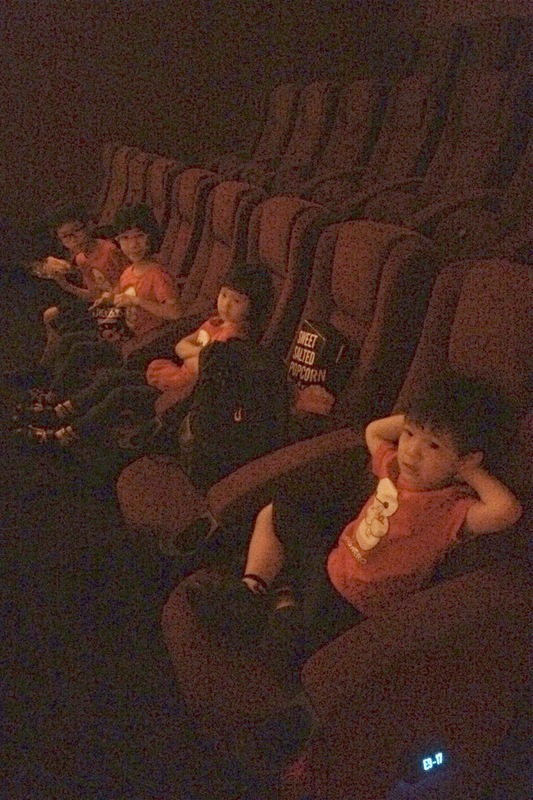 I brought the kids to Bugis Plus for a movie treat first. 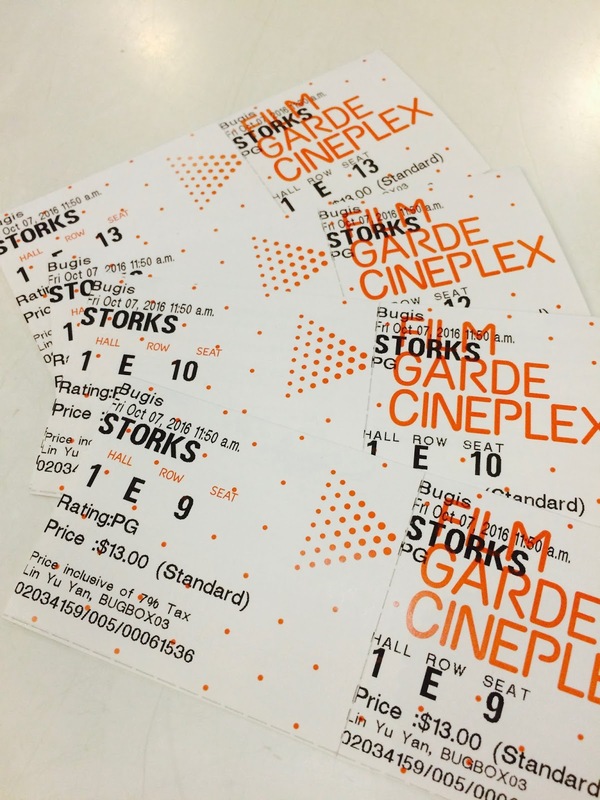 Since the show "Storks" has been in the theatres for quite a while, only selected places still run it. 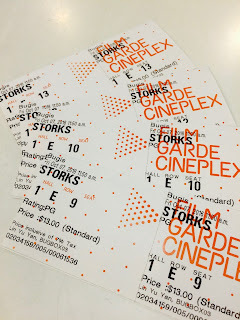 The children had their choice of snacks to bring into the cinema. After which, we had lunch at one of their favourite fast food outlet Subway, followed by choosing their presents at BHG. When Joshua finally knocked off from work, he joined us at Sakae Sushi at Bugis Junction for dinner. 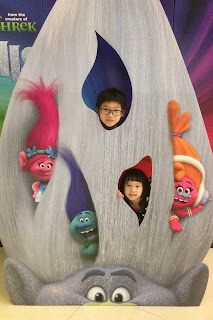 It would have been a wonderful outing if not for Jaide, as usual... She kept crying that she was scared during the movie. I spent half the time comforting her and could not truly enjoy the show. Who in the world gets frightened by a cartoon about BABIES and BIRDS??? Lunch was chaotic with all her whining and she had to spill her cup of Fanta grape soda despite being warned several times to be careful with it. She also kept asking to buy toys priced way beyond the budget I set for them and harassed me the whole time. By dinner time, I was utterly drained by her and started raising my voice. I was grateful to be seated at a rather enclosed area or else we would have been a much greater disturbance to the other patrons. At one point, Joram was quietly drinking his water by himself while the older two made their own orders with the restaurant's iPad. And what about our royal highness Jaide? Despite having Joshua holding her water bottle for her to drink and me helping her flip the pages of the menu for her perusal, she was STILL UNHAPPY! Oh why, oh why, does she always spoil the occasion for everybody? God have mercy on the family... I can only pray that the rest of the children managed to enjoy the day regardless of the mess their obnoxious sister made of pretty much everything. I take heart that at least my oldest kid did thanked me many times for my efforts throughout the day.